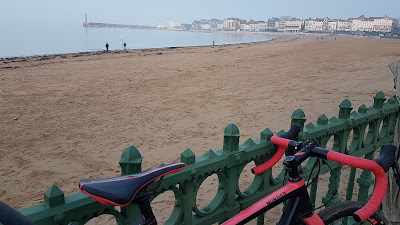 It was only a couple of days ago when I finished riding the Festive 500, but now that Christmas is out of the way and we are back into the usual routine it seems a distant memory, but I wanted to list the things I learned, in case anyone want to tray this sort of thing. Why did I do rail trails? To get in 500km I could have just done various rides and club runs from my home along the usual routes like Surrey Hills, the Kent lanes and Pilgrims Way, and even out to Windsor. But I felt that given it was a specific challenge I decided to try something different and give it a theme that would motivate me. Riding rail trails was a way of staying off-road and not worrying about being unsafe due to the climatic conditions or the traffic. Why did I travel around the country? As someone who writes about cycling I feel it is important to know about as many cycle routes and locations as possible. By doing a theme that took me to different parts of the country I would be killing two birds with one stone. I had already planned to do cyclocross races outside of London (in the South-West and in the Peak District), plus I have family in Yorkshire, so it was a no-brainer to do rail trails in those areas. How did I know which rail trails to ride? 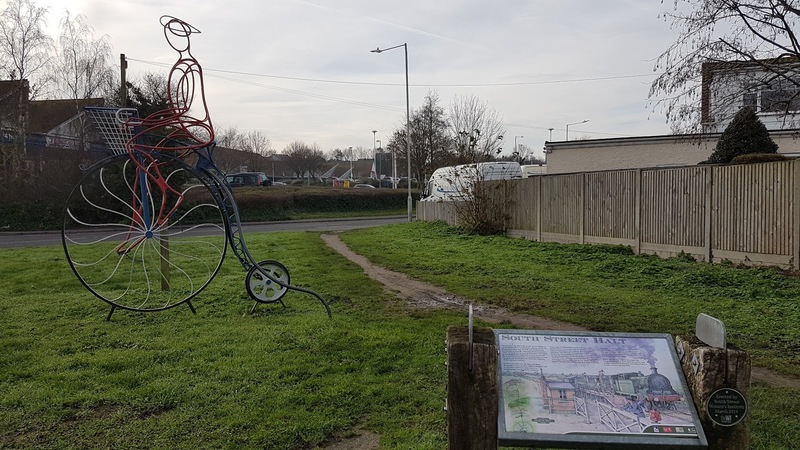 Some of the rail trails were ones I had written about for cycling publications in the past, such as the Down's Link and the Crab and Winkle Way. Some were trails I was familiar with because I lived near them or used them when visiting family - for instance the Middlewood Way and the Hudson Way. 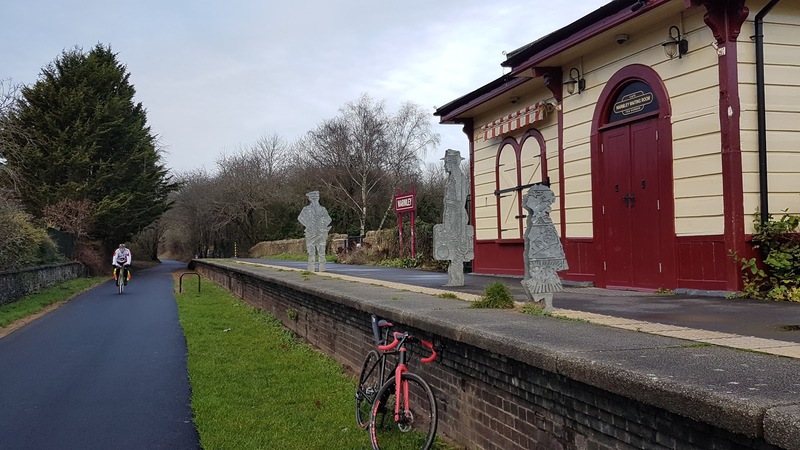 Then there were other rail trails that I was aware of from word of mouth, articles, or just looking at an Ordnance Survey map and they are quite obvious. That's how I found out about the Marriott Way and the Bure Valley rail trail. Checking out an area on an Ordnance Survey map is extremely useful as it gives information about local trails, some of which may be relatively unknown (like the Bubwith rail trail) but also cut-through routes and of course how hilly an area will be. There were loads of others rail trails that I would have like to include, but logistics just couldn't allow it. For instance in the Peak District there were Tissington, High Peak, and Sett Valley Trails. Closer to home there were the Forest Way, and Worth Way. There are loads more around, so I will probably have to do another series on rail trails. Did I have any contingencies in case of problems? I did as much as possible to plan for the controllable things. For instance, I put mudguards on my gravel bike, knowing that the trails could be muddy. They worked well most of the time, but the day I did the Longendale trial the conditions were very wet so there was nothing I could do about that. So then, it's just a case of having spare clothes and the means to wash down your bike. I generally try to plan routes that are not too far from train lines so that I can resort to that if something goes wrong. For Christmas Day and Boxing Day when there were no trains I aimed to do local rides so that I would not be so far from home if things went wrong, or so that a taxi ride would still be feasible if I really had to take one. I did do an impromptu train ride on the Kent day when on the Viking Coastal Trail and got lost in the fog after Margate. There had also been a lot of talk of local train strikes and engineering works over the Christmas period so I kept a watchful eye on that. For instance, I knew that trains would be sketchy in the East Anglia area so I planned my day to Norwich being aware that trains would not be working. And of course I always have tools - at least to do the repairs that I know how to do! Then the usual things like money and enough charge on my phone. I also had strong mountain biking lights as I knew it was highly likely that I would be riding at night. How did I cope with doing it all alone? I never really gave it any thought. I do loads of travelling and bike rides on my own, so this was no different. If I am not sure of something I don't have any qualms about asking passers-by for local information. To be honest, it was more tiring than I had expected, and probably more time-consuming as well. Because the rail trails were in different parts of the country I needed to allow time to drive to the places, find somewhere to park, then set up the bike before I could get going. On the first day I set off in good time in the morning, but most of the other days my rides started late because before I could leave the house I had to blog and do social media across the different platforms (Blogger, Instagram, Facebook, Strava, Twitter) about my previous day's ride. I wasn't very good at using some of the platforms - especially the Instagram Stories and Facebook Live - and I ended up taking longer than usual! Even though I was getting up at 6am to do social media it still led to late starts because I also had to gather my things together, load the car and drive somewhere. By the time I was starting the ride it was practically the afternoon, and by the time I'd done the ride and moved on to the next place I would just have time to eat, rest up and go to sleep - something which I did quite easily because I did get increasingly tired as the week went by. On one day I did social media, drove a couple of hours, did a rail trail, raced cyclocross and drove to the next place - and somehow I fitted in some Christmas shopping. I think I might need a social media team to travel with me next time, as well as someone to do my chores! I was most relaxed on the last day because I didn't have to drive to get to the start of the ride, and I knew that I wouldn't have to get up early the following day. The need to have lots of clothes for when night falls. The weather was generally mild over Christmas week during the day, but at night the temperature would drop suddenly and dramatically. I was glad to have extra coats, hats and gloves. Most probably yes, but not necessarily as part of a Festive 500, so that I can take my time. Having said that, the next time I do a Festive 500 it is likely to be based around a new alternative theme which could also end up being equally challenging! This was strictly not a rail trail, but I liked the River Avon trail from Bristol back to Pill because on that section I was in the Avon Gorge with Clifton Bridge right above me. That looked quite spectacular. 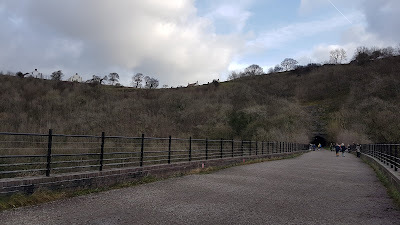 As for pure rail trails I like the Monsal trail for the beautiful views of the Peak District, and the series of tunnels. Most remote lost and lonely: Market Weighton to Bubwith - you just don't see anyone around as you bump along rugged terrain past farm houses and stables for over 10 miles. Best maintained: Bristol to Bath - it had beautifully smooth tarmac and was well signposted to various other trails and bridleways. Selby to York was also well maintained. Most dramatic: Longendale - it goes the length of the Torside and Woodhead reservoirs, with the Peak District towering over you. There are also nice views of the Woodhead Pass in the distance. Most family friendly: Monsal trail - there are seating areas, refreshment stops, and a good compact off-road surface; sections of the Downs Link, especially around West Grinstead and Partridge Green where there are places to eat, and play areas. Most logistically convenient: Middlewood Way - it is never far from the villages. Both ends of the trail are near train stations and there is a train station at the half-way point, at Middlewood. There are places to sit, picnic areas and nearby shops and pubs in Bollington and Poynton which are along the way. The full length of the Down's Link could be a challenge as it is around 36 miles when starting from Shalford and going all the way to Shoreham-by-Sea. There is a brief section with a steep climb and a steep descent; Market Weighton to Bubwith is quite bumpy and may require reasonable off-road biking skills if you are not used to that terrain. A mountain bike may be a more comfortable option for a novice. Hidden gem of the week: Waterlink Way - a traffic-free route through south London that is round the corner from where I live, but had never previously ridden it in all these years; Market Weighton to Bubwith rail trail - a good trail to practice for cyclocross practice if I lived up that way. It appears that hardly any cyclists ride it because no one seemed to be on it when I was there! And I can't neglect to mention other key traffic-free cycleways I rode on, that aren't necessarily rail trails - Avon Cycleway, Regent's Canal, Viking Coastal Trail, and Transpennine Trail. 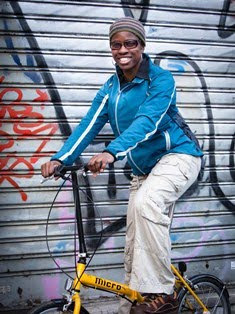 Women of Colour cycling group - is it necessary?